Thank you for being patient! This release includes all of the latest features and fixes of the free version including a new evolution! 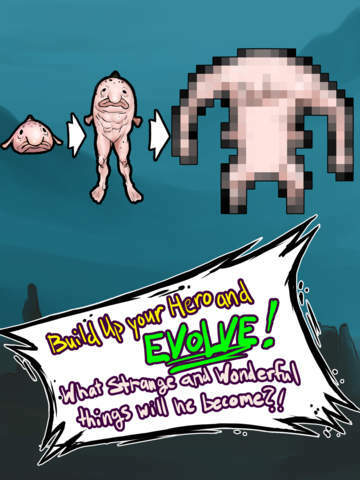 This is the ad free version of Blobfish Evolution! • Fully control your hero's movement, dash, and hit! What no other evolution game does! • Multiple levels and boss battles with unique game play! • Wonderful hand-drawn graphics and amazing music! in the deep sea, there lived a Blobfish unlike the rest. He was "special", not abominable! This Blobfish -- our Blobfish -- was MUTATED. he wanted to be close to his friends forever. 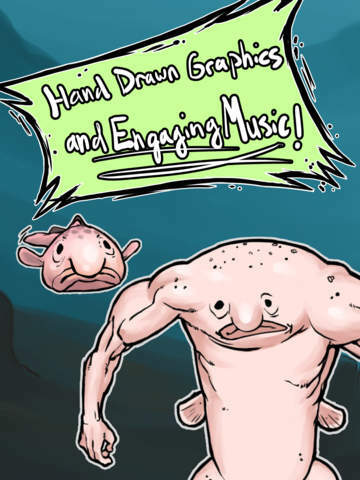 How will our Blobfish's strange journey end? Will he succumb to an insatiable hunger? Or will he overcome temptation and transcend this world? We can EVOLVE towards good or evil! This game supports iOS 7 devices only. There are known memory issues with iPad Mini retina devices! At this time, please do not install on an iPad Mini retina device.